It’s an obsession, but just give us a chance. You will come to the dark side… wait, I mean the K pop side of T.V. dramas. Here is a list of why I love them so much. 1. The Fashion. Is the costume design for some of these shows genius or do I just appreciate the way they over-simplify the wardrobe of every character? It’s like if Im Meari doesn’t always show up in some kind of Peter Pan collar I might forget who she is. That could be annoying… if the Peter Pan collars weren’t SO ADORABLE. While not the star, she’s my favorite style-wise, you will soon see… but if you actually watch Gentleman’s Dignity, do yourself a favor and skip the parts where she cries. I won’t even try to describe the sound. 2. The Men’s Fashion. 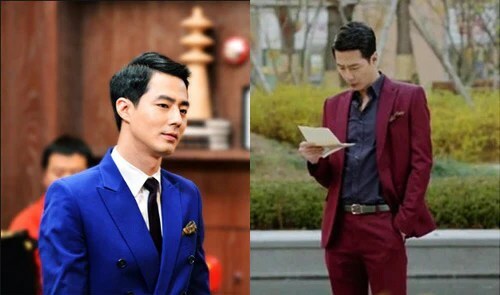 To be truthful, the men’s fashion in K dramas is WAY better than the women’s in my opinion. It’s kind of funny to go so crazy over clothes I’m probably never even going to emulate, but you know how puritan men’s fashion can be in this country. It’s refreshing to check out men’s fashion in basically any country other than ours for that matter. Once again, the wardrobes are simplified for each character, and we have a wonderful 80’s style going with this particular character – Jung-rok. 3. The Art Direction. Just check out the cafes in a lot of these shows. Maybe cafe interior design is particularly creative in South Korea. Maybe they are just represented in an amazing way on the shows. On GD in one episode you can typically see around three scenes in different cafe’s. The attention to detail is marvelous. The unique personality of each cafe is like another character in the scene. It reflects the tone of the scene as well. In the above scene, the humor comes from the fact that the three men in their forties are trying to relate to this teenager so… obviously, they have to take him to this teddy bear cafe. Over the top. 4. Composition. I guess this is an art term, so maybe I mean the cinematography. It becomes composition when I take screen shots. You could just take screen shot after screen shot all day and never get tired of these beautiful compositions. On GD the camera tends to linger on shots of beauty and contemplation. It reminds me of that appreciation for color and balance that I love in so many great anime films. More composition… Excellent Sequence of color, composition and drama. But, also look at the lovers’ color coordinated looks. They are connected, even though he fights it. She is so out of some resort wear collection. And he is so casual 80’s. 5. Intersections of Cultures. 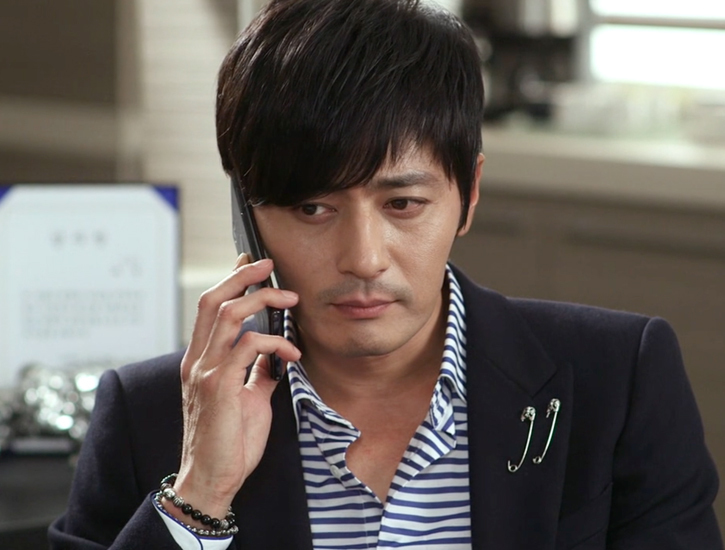 Here is a particularly sad but funny sequence where Im Meari is rejected by Choi Yoon for the 54th time. This time, instead of doing that crying thing she goes to a bar in the middle of the day to get drunk and sing sad songs. Wondering what to wear for such an occasion? A Day of the Dead t shirt and happy 80’s cardigan, of course! 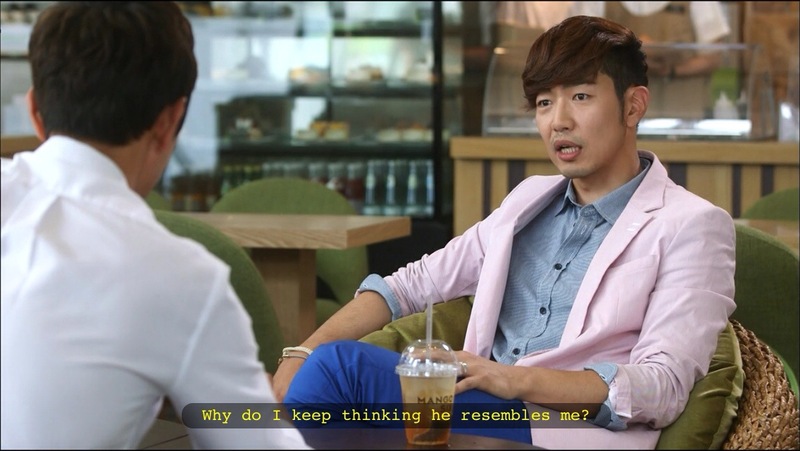 K dramas are full of great cultural combos like this that perfectly capture the complex emotions. … Oops. Did I just add that photo? Guess I didn’t control myself. Both shows available for your viewing pleasure on Netflix. Categories: Art, Fashion, Food, Uncategorized | Tags: 80's style, anime, art direction, Cafe culture, Day of the Dead, Gentleman's Dignity, K pop drama, Korean Cafe, Korean drama, Korean soap opera, Men's 80's style, That Winter the Wind Blows | Permalink.